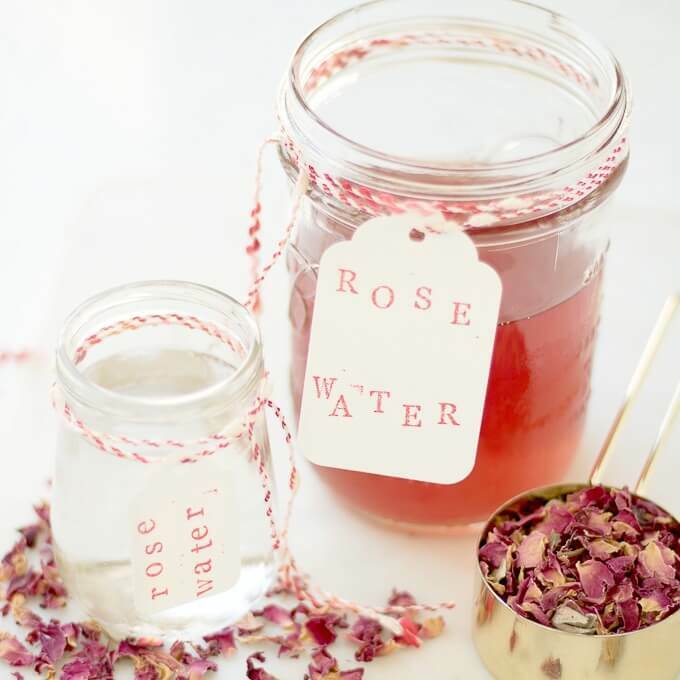 Rosewater: This post originally appeared on the bMAKER blog as How to Make Rose Water. 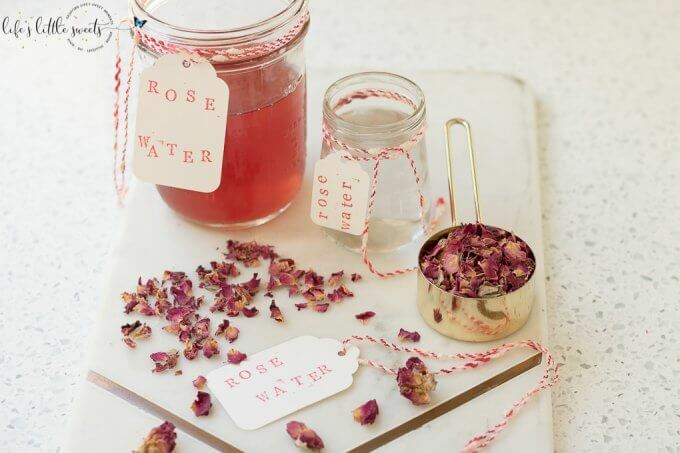 Rosewater – You can learn how to make rose water! 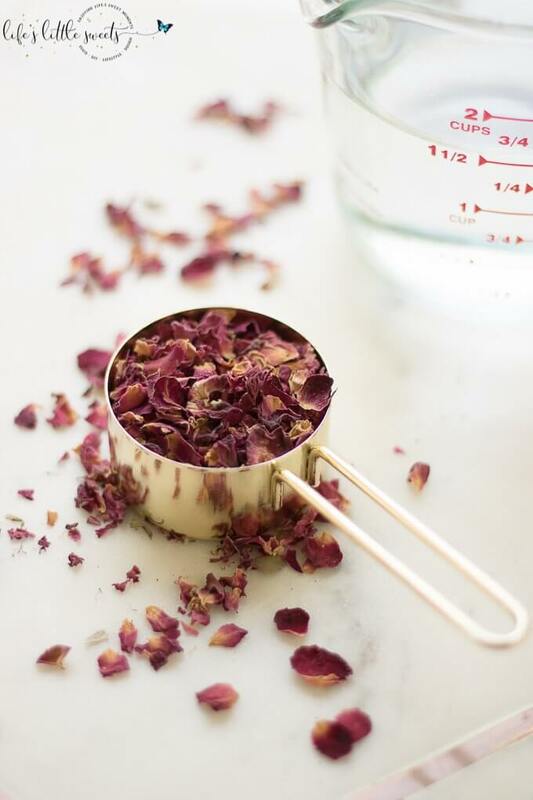 Beautiful, delicately floral-scented rose water for cooking, beauty products and an infinite number of DIYs (heat and steam method). 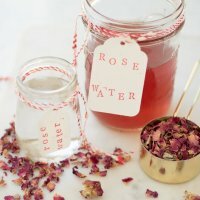 Hi Everyone, have you ever wondered how to make rose water? Personally, I have always loved the scent in soaps and perfumes, and it’s amazingly easy to make at home in your kitchen. 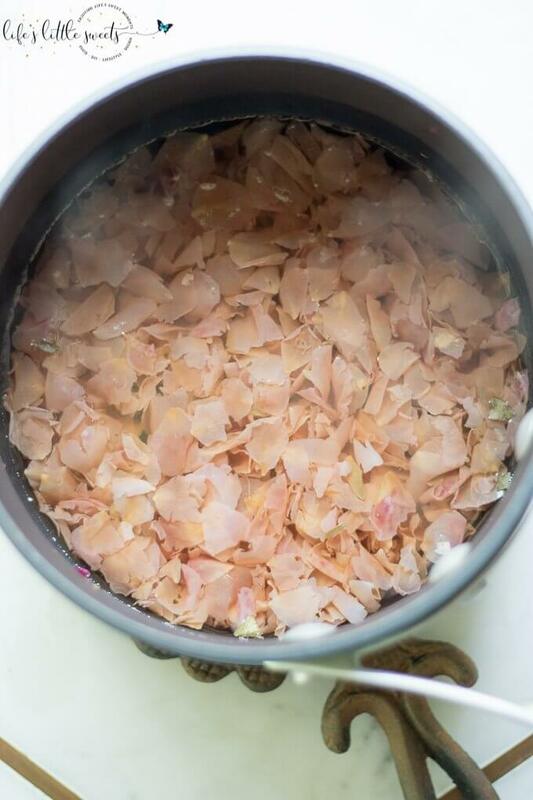 There are two ways to make rose water, the heat method (also called the simmer method) on the stove top and the steam method (also called the distill method) which can also be done on the stove top. 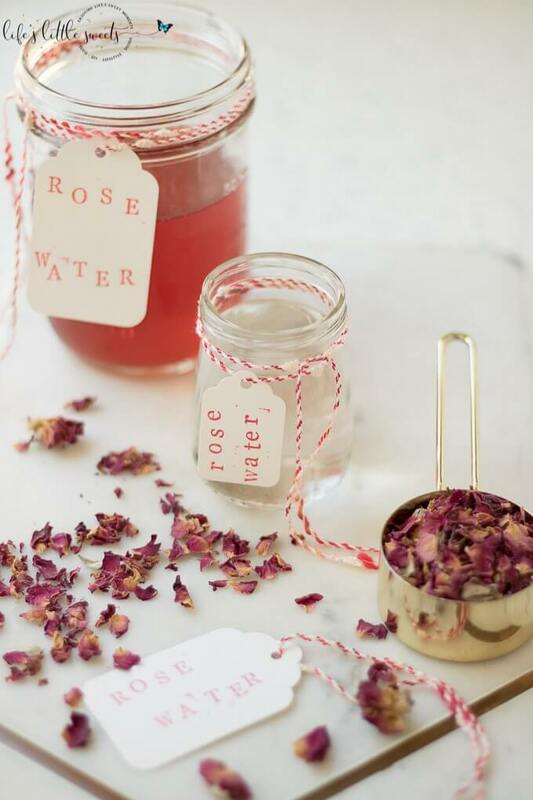 There are an infinite number of uses for rose water. You can use it in recipes wherever water is an ingredient which would instantly add a lovely, delicate rose-fragrance to any recipe. This would be perfect for drinks, cocktails or dessert. 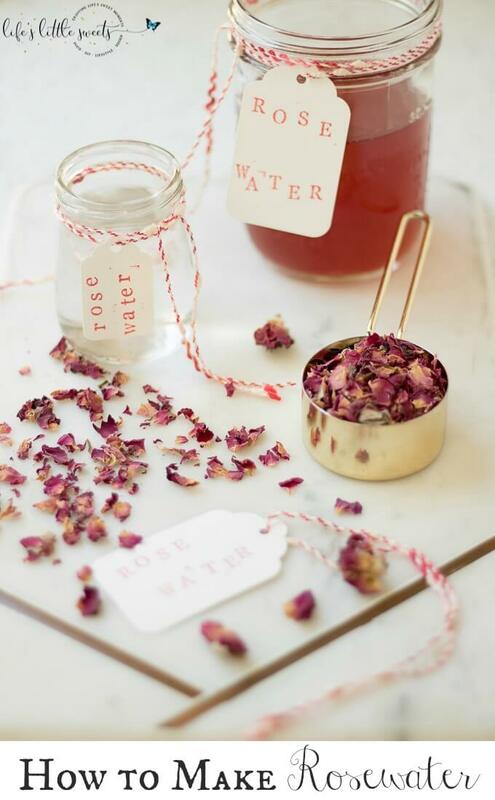 Rose water is known as a mood enhancer, you can mist it on your bed linens before bed or add it to your bath water. “Heat” Method shown on the left and the “Steam” Method shown on the right (above). 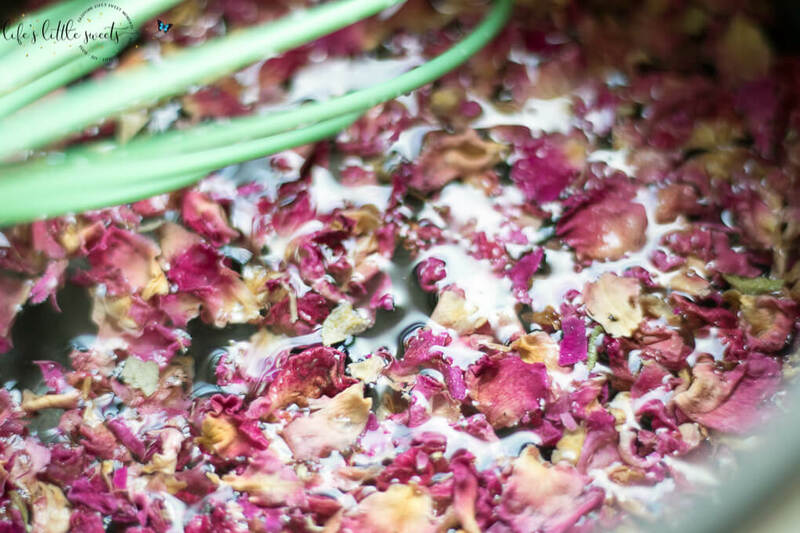 The heat method makes rose water by simmering it over a heat source. 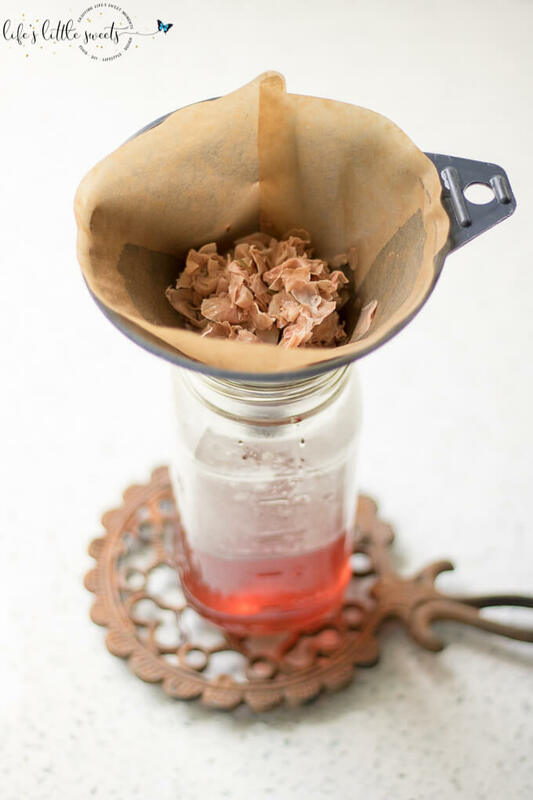 You essentially make a rosewater “tea” and strain it through a filter or cheesecloth. The rose water comes out more colorful (as shown in the photos) and I found that you get a greater quantity faster. I would use the rose water from this method for using in recipes. The steam method makes rose water by distillation (making it a hydrosol). It works also over a heat source and has a slightly more complex set up. You boil the rose petals and water and in a bowl (raised up above the liquid) you collect the rose water from the vapor of the roses and water. 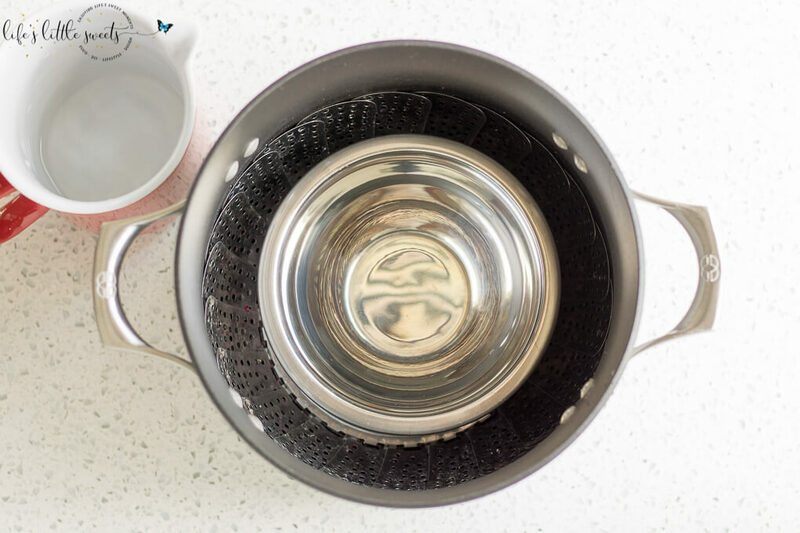 The vapor collects in the bowl when the steam hits the lid which is inverted, so that the droplets form and dip down into the bowl. 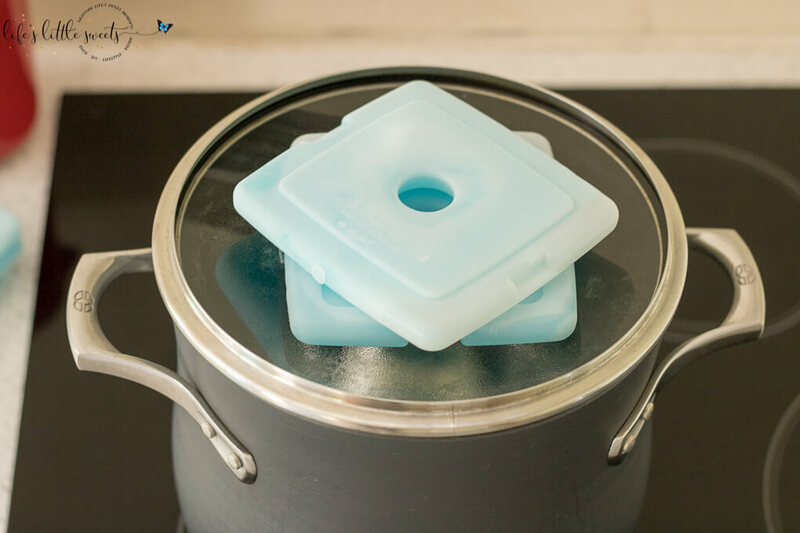 It helps to put ice or ice packs on the top of the lid to get the droplets to form more effectively. The rose water is clear or nearly clear when using this method. It takes at least 30 minutes or longer to get a usable amount. It lasts up to 6 months when stored in a dark colored glass container with a lid. I would use the rose water from this method for beauty products since it lasts longer. a small metal bowl for collecting the rose water. Let me know what you use rose water for in the comments below! 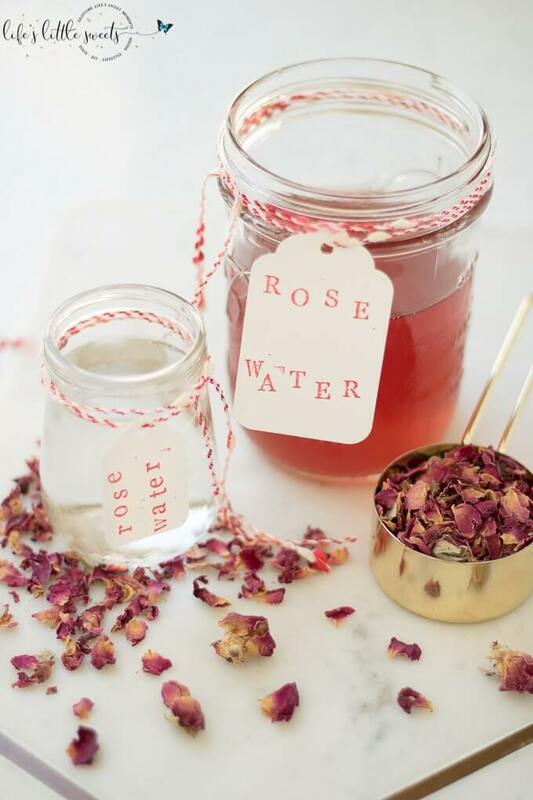 How to Make Rosewater – you can make this beautiful, delicately floral-scented rose water for cooking, beauty products and an infinite number of DIYs (heat and steam method). 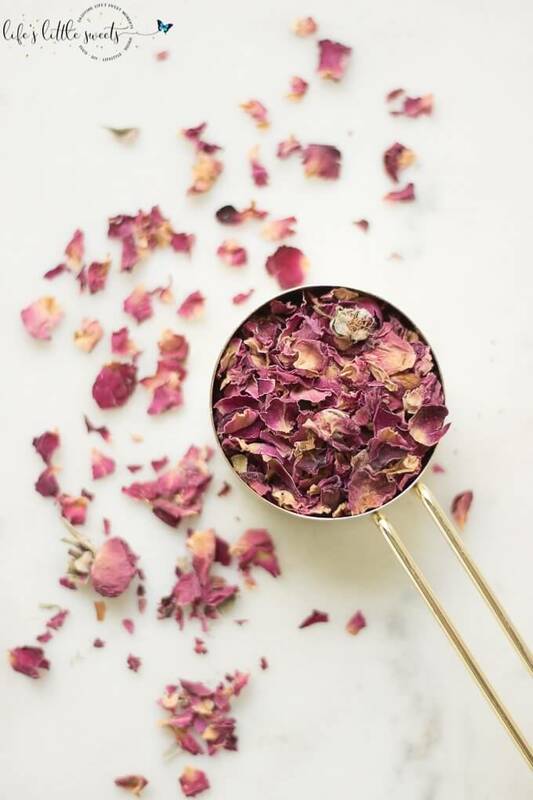 Combine 1/4 cup dried rose petals with 1/5 cups distilled water in a small-medium saucepan. Bring to a boil and then reduce to a simmer, simmer for 5-10 minutes, or until the petals are nearly colorless. Remove from heat. 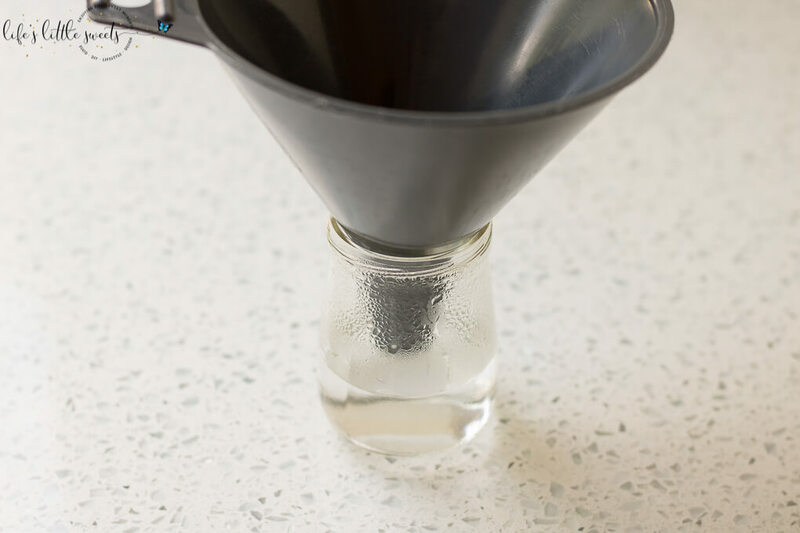 Put a funnel over a jar (if storing, use a dark colored glass jar with a lit/cap), place a cheesecloth or filter (I use a No. 4 coffee filter). Pour the rose water over the filter to separate out the rose petals. In a tall, large pot, put dried rose petals and water in the bottom. 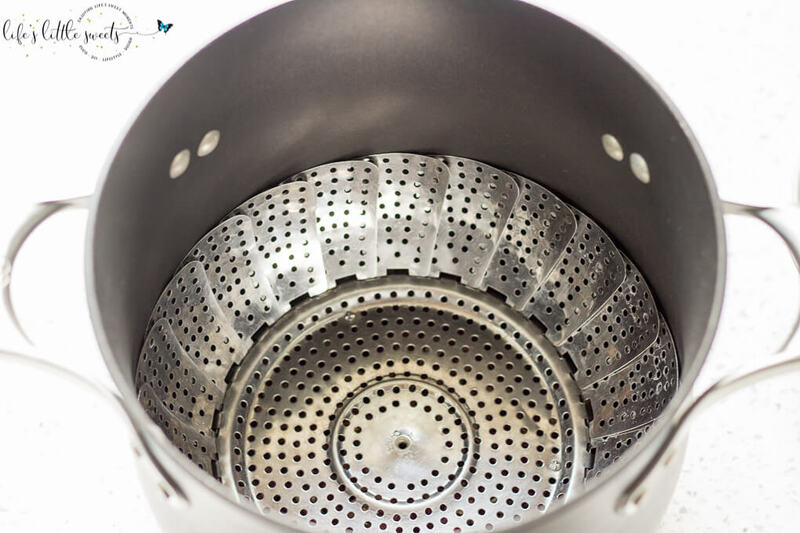 Place a vegetable steamer with the center unscrewed (you can also use an upside down small colander, brick or something that's heat safe that will make a platform for the small metal bowl. Place small metal bowl on top of the platform. 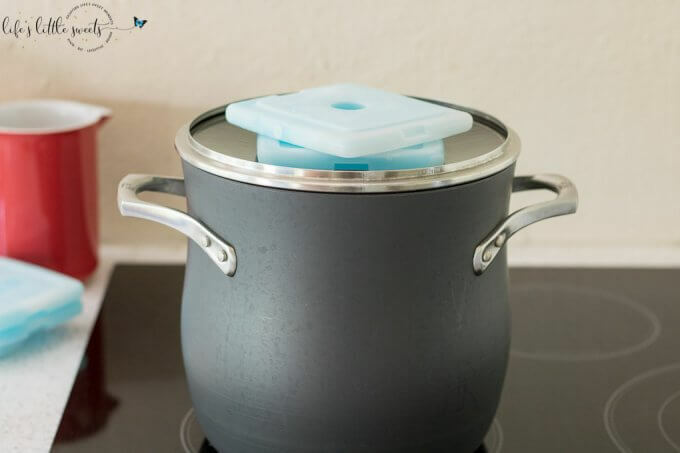 Place the lid concave so that the dome of the lid is pointing down, allowing the steam to collect and drip into the bowl. Bring to a boil and reduce to a simmer. Simmer for 30 minutes or longer, depending on how much rose water you want, add water if the level gets low. When the desired amount is distilled, place a funnel over a heat safe jar and using oven mitts, add the rose water to the jar. 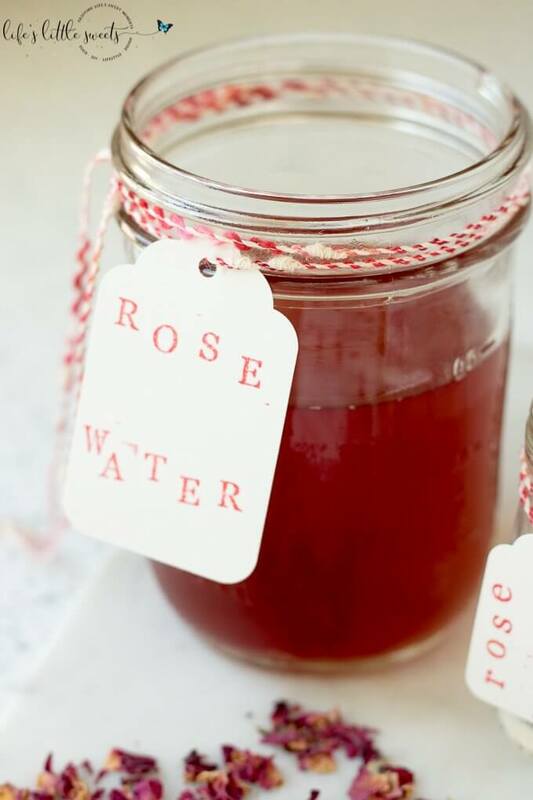 Allow the rose water to cool completely, you can use right away or store in a dark colored glass container in the refrigerator for up to 6 months.